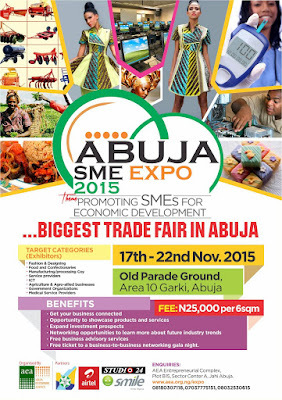 To celebrate the Global Entrepreneurship Week (GEW) billed to hold from the 16th to 22nd of November, 2015, AEA is organizing its 1st Abuja SME Expo tagged “Promoting SMEs for Economic Development” which will provide a platform for SMEs with good local content to showcase their products and advertise their services to the general public, while expanding their market base and exploring new opportunities. and services to prospective customers and also to network with other industry operators or competitors, government regulators for industry growth and sustainable economic and infrastructural development of our country. The 6-day event promises to be captivating, educative, informative and fun to participants, as it shall have four (5) main activities holding simultaneously. This will enable SMEs to display and demonstrate their products and services, meet their target audience, make sales, network (get contacts for potential partnerships) and as well achieve their overall participation objectives. The networking event is the first phase of a Business Development Drive (BDD) which will bring together MSME business owners across different sectors for a 1-day discussion with business development service providers handpicked by the Agency. At this event, the business owners discuss their challenges in running their enterprise and the business development experts work through their information to provide on-the-spot solutions that will improve performance. Most importantly, the event will provide the Agency with a medium to document business challenges and reference them with their owners. This information will serve as a critical tool for the second phase of the BDD initiative. Other stakeholders include angel investors, venture capitalists, finance institutions and government regulatory bodies. This is designed and intended to encourage, promote skills, support creativity and also create opportunities for the abundantly gifted and talented youths to showcase their Gods given talent. This will include music, dance and comedy etc. 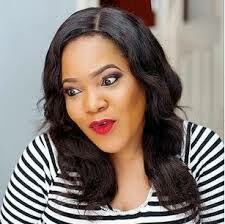 For any other enquiries please contact the team via any of the following: 07037775151, 08180307118, 08032530615. 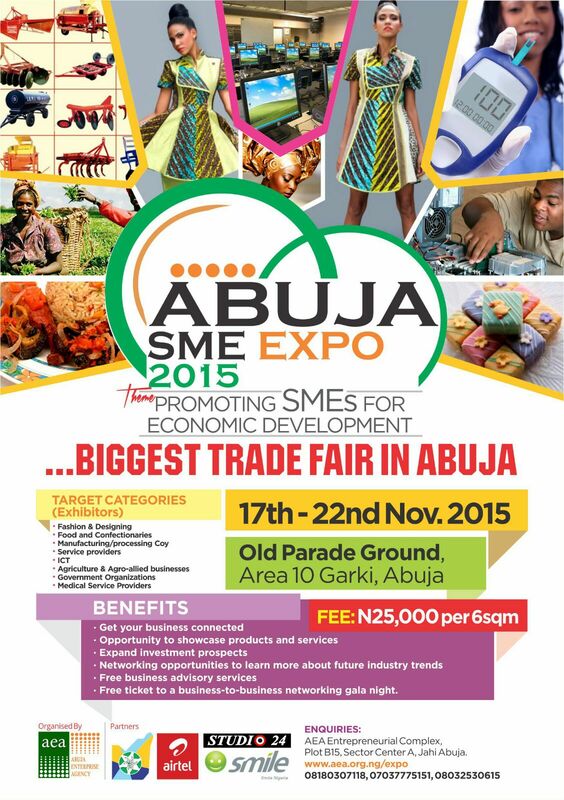 Address: AEA Entrepreneurial Complex, plot B15, sector A Jahi, Abuja, FCT.